In addition to being home to the major port city of Yokohama and the famed hot springs of Hakone, Kanagawa has developed a number of distinctive crafts that are unique to the region. Odawara lacquerware is a government-designated traditional craft from the city of Odawara. The Odawara style of lacquerware differs from other forms in that it allows the beauty of the underlying wood to clearly shine through. The origin of Odawara lacquerware can be traced back to the mid-Muromachi Period (1338-1573), when utensils were carved out of wood utilizing the abundant lumber resources of the Hakone mountain region on the outskirts of Odawara. In the middle days of the period, the Hojo Clan, which succeeded the regency of the Kamakura shogunate, invited lacquerers to the castle town and promoted the advancement of lacquering techniques, turning Odawara into a lacquerware production hub. An excellent bowl called Seriwan (meaning parsley bowl) made back in the Muromachi Period is still preserved in Sounji Temple, the Hojo clan’s family temple in Hakone Yumoto. In the Edo Period (1603-1868), large quantities of practical-use lacquerware such as bowls and trays were exported to Edo (present-day Tokyo), as well as other products such as lacquered armor. 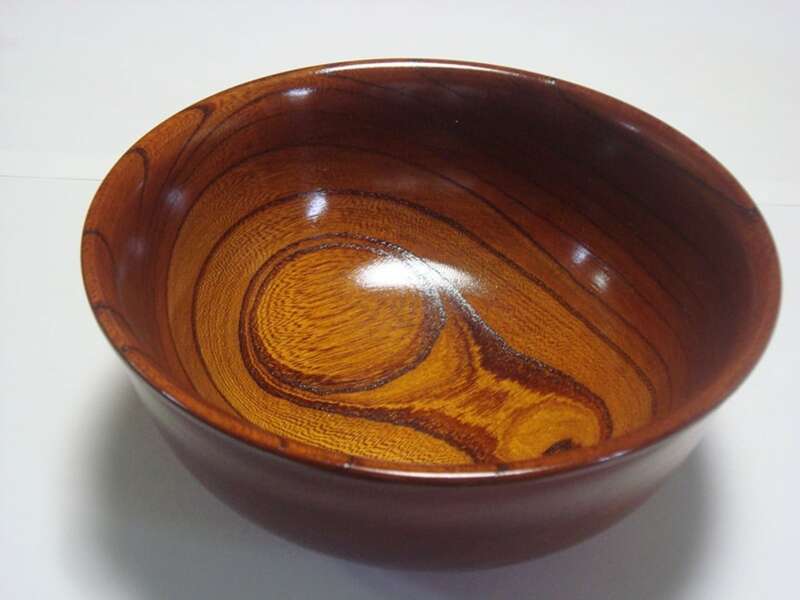 Odawara lacquerware is made by rubbing lacquer into wood that has been shaved using a potter’s wheel, followed by lacquer painting methods that make use of the coarse wood grains. “Print-painting lacquer” is a technique that accentuates the beauty of the coarse grains by covering them with a thin layer of raw lacquer. “Polish painting wood grain” is a technique where a raw lacquer called suki urushi, or transparent lacquer—which has water removed to increase its transparency—is painted on the wood grain. Thus, the coarse grain is not covered, and can be seen in its genuine form. Using primarily Japanese zelkova as its main material, this results in products that are durable and experience minimal warping. Odawara lacquerware does not feature ornate designs and vivid coloring, but emphasizes the raw beauty of the coarse grain. All stages of production are done by hand. First, the raw wood is shaved. The wood is then lacquered and dried numerous times. It is said that that it takes about 10 years to attain this skill alone. The tradition has been handed down to this day, and Odawara lacquerware is still manufactured in the same way. 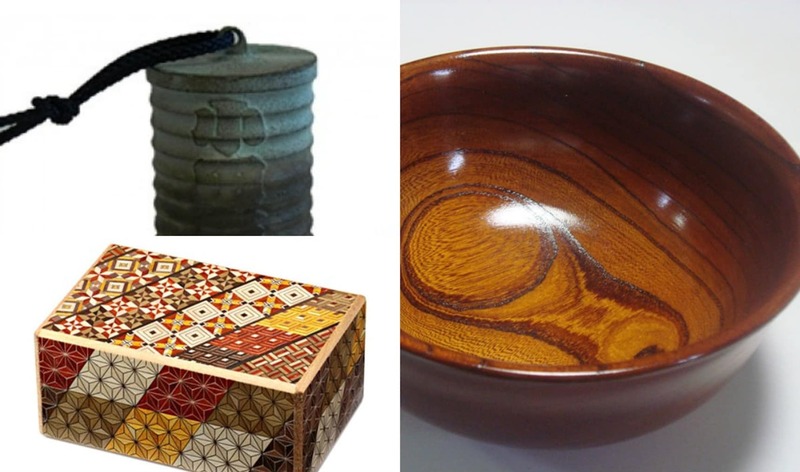 Keep an eye out for Odawara lacquerware as you visit the area’s hot-spring resorts! Presented by the Japan National Tourism Organization (JNTO), Japan Brand introduces traditional products from all over the country, from Shizuoka tea to Nagasaki noodles, Iwate iron work, Kyoto textiles, Okinawan alcohol and more.